The Losant University Lessons Page. If you have questions or want additional information as you move through the courses in Losant University please check out the Losant Forums, Blog, and Documentation. Welcome to Losant University! Course One is all about understanding Losant. In this course, we are going to give a high-level overview of the platform and all of its components. 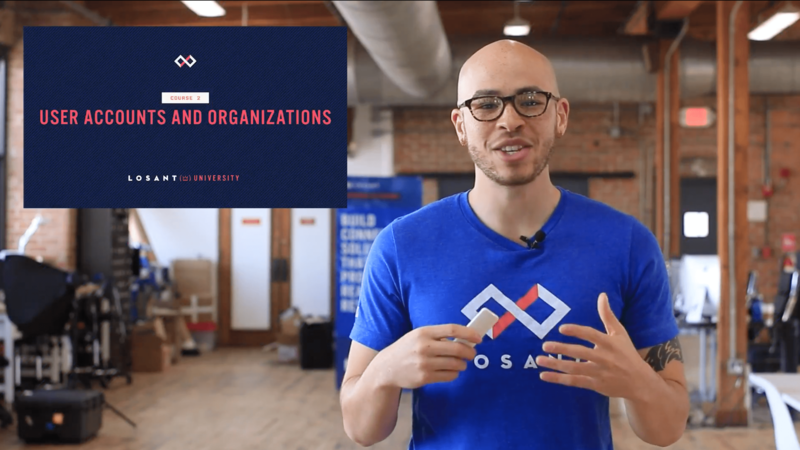 In this video, we are going to answer the most critical question: What is Losant and why does it exist? We are also going to cover each Losant component and give a brief explanation of each. 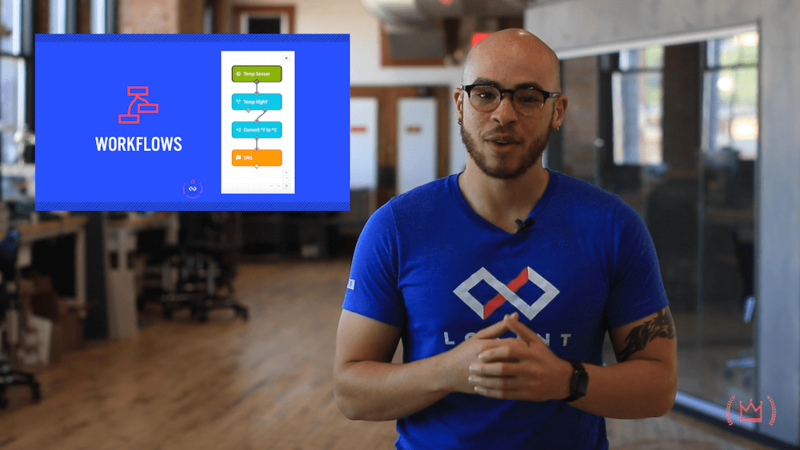 This chapter is your personal walk through of the Losant platform. It covers basic navigation to give you a sense of where each of the components and features are within Losant. Course Two breaks down User Accounts and Organizations. In this course, you will learn about the different types of accounts in Losant, basic Losant terminology, account limits and more. Many users work in Losant in teams. In this chapter, we will help you better understand User Accounts and Organizations. Everything in Losant begins with a device. Course Three covers devices, how to connect devices, and other data sources and integrations. Course Three will also include the first workshop that will allow you to practice and use most of the functionality we discuss in this course. What are devices? What type of devices can I connect to Losant? How does the data get to Losant? These are some of the questions that will be answered in this chapter. You don’t need physical hardware to use Losant. To make it easier to use the platform or even test different scenarios, we created the Device Simulator. In this chapter, we are going to walk through the simulator and cover its use cases. In this chapter, we are going to learn more about the Data Explorer. 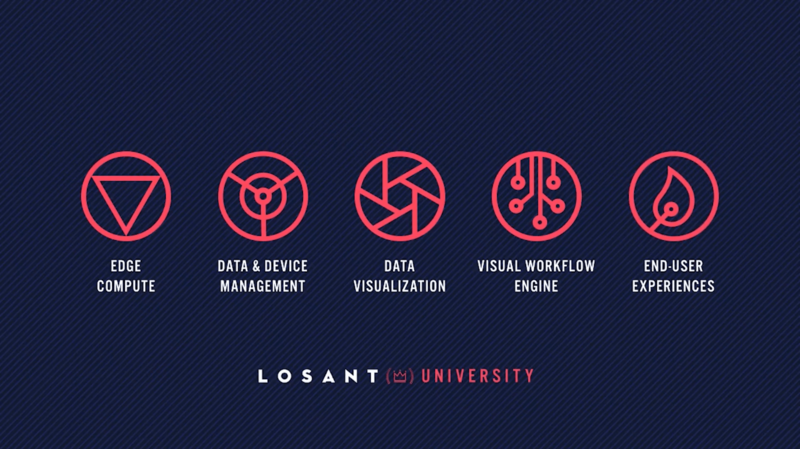 Because your device sends data to Losant, we want to provide you with a way to dig into your data and quickly gain insights. Losant keeps data around for a fixed period of time. There are many reasons why you would need to retain data for long-term usages like analytics or machine learning. 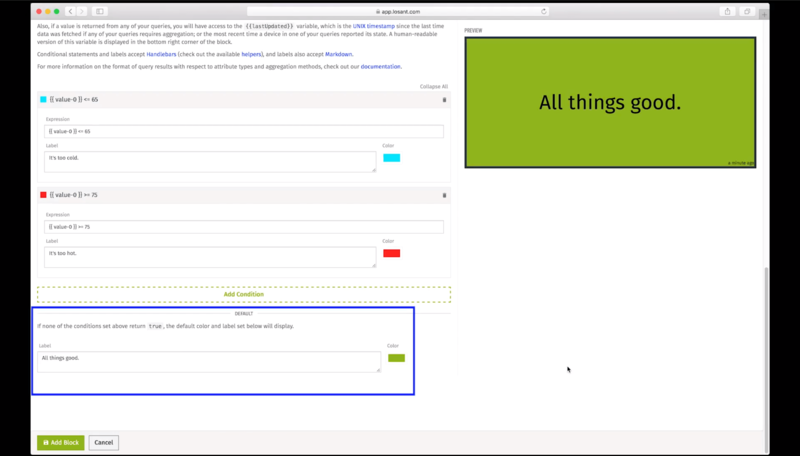 In this chapter, we are going to cover all the ways you can archive your data on the Losant platform. You are all done with Course 3. Next up, you have your first workshop. In your application, you will be collecting large amounts of data from hardware or other data sources. The next step is to visualize this information to extract insights and detect patterns. Course Four covers all of Losant’s data visualization features. 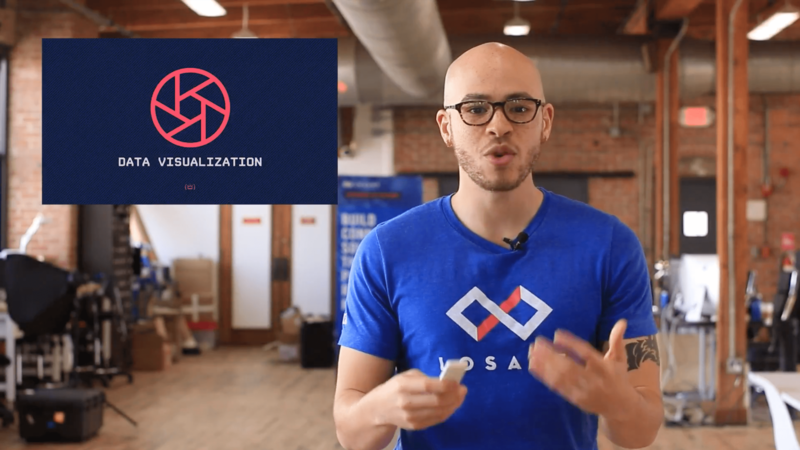 This course will help you create visualizations to view your data in the best way possible. 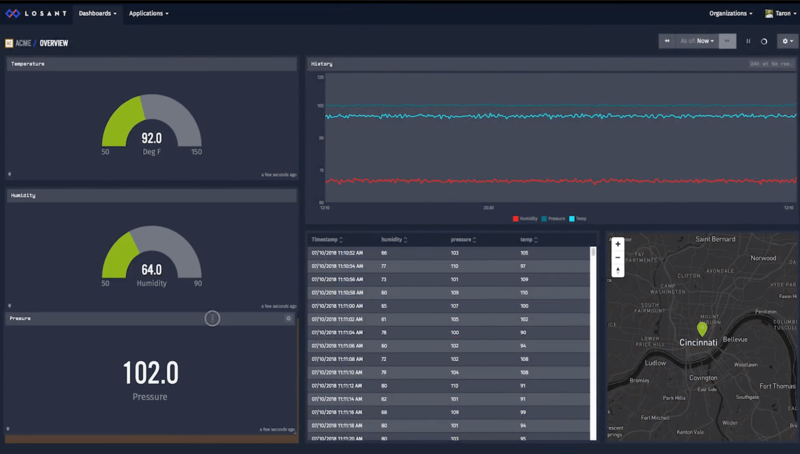 Each dashboard in Losant consists of one to many blocks. Each block is meant to help you visualize different pieces of information. This chapter is your overview of dashboards. 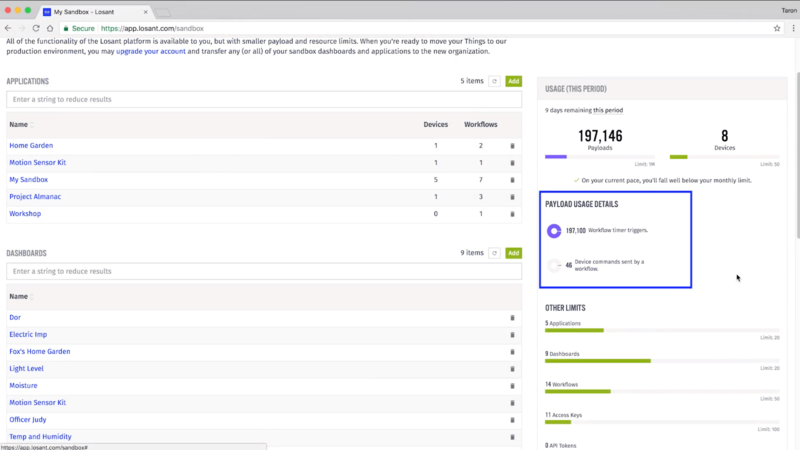 We will cover creating dashboards, adding blocks, and basic dashboard settings. The three most popular dashboard blocks are the Pie Chart Block, the Bar Chart Block, and the Time Series Block. In this chapter, we will explore each of these blocks and add them to a dashboard. ​​The Indicator Block allows you to display custom messages on the dashboard. The Gauge Block is used to display single number values. Both blocks allow for a configurable background color and text. In this chapter, we will dig into these blocks and add them to a dashboard. 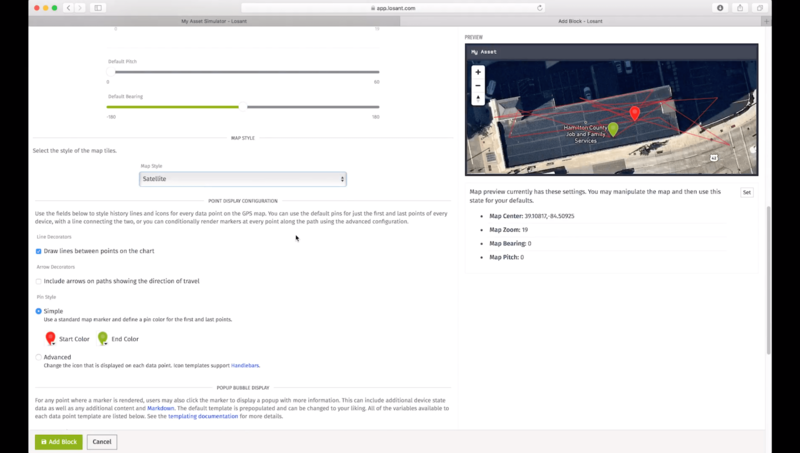 Losant provides two GPS blocks to make viewing any asset on a map as simple as possible. Using these blocks, we can track where an asset is and see those changes over time. These assets can be anything from: a truck, a person, a pallet, you name it. This chapter covers the GPS History Block and the GPS Heatmap Block. Knowing where assets are in the world is one problem, but tracking assets indoors, like in an office, is an entirely different problem. We provide the Position Chart Block to make this easy. In this chapter, we are going to talk about the Position Chart Block. It is very similar to the GPS blocks. However, the small differences made it worthy of its own chapter. Until now, we’ve been just viewing data on the dashboard, but none of our dashboards or blocks have interacted with data or devices. This is where the Input Control Block comes in. 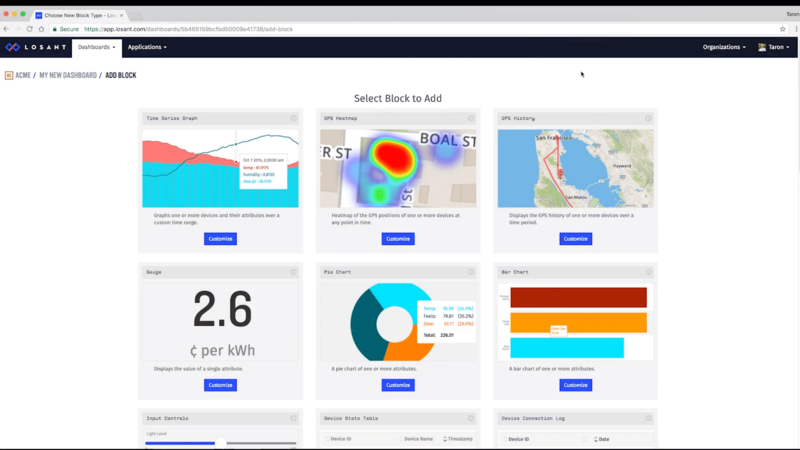 The Input Control Block allows you to interact with your data and devices directly from within a dashboard. In this chapter, we explore the Input Control Block. There will be cases where you’ll want to see a simple table view of various bits of device data. The Device State Table Block allows us to do just that. In this chapter, we explore the Device State Table Block. Up until this point in the course, we’ve been assigning one dashboard per device. But, things get more complicated when you have to manage a ton of devices. 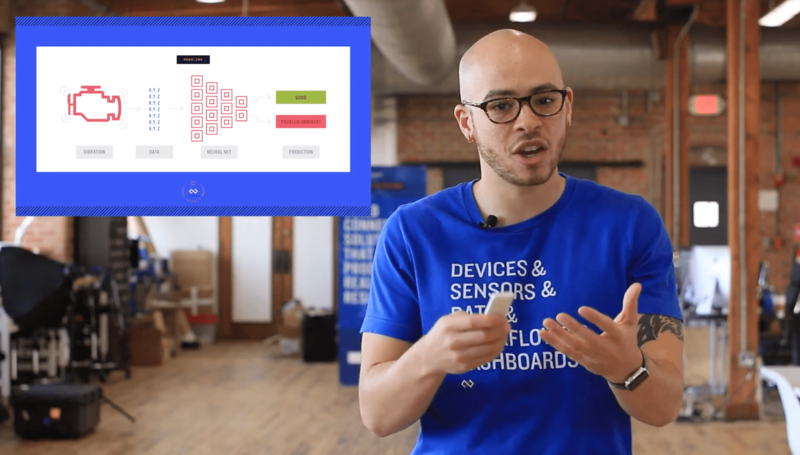 As you can imagine, creating a unique dashboard for thousands of devices could be cumbersome. Context Variables are the key to solving this problem. 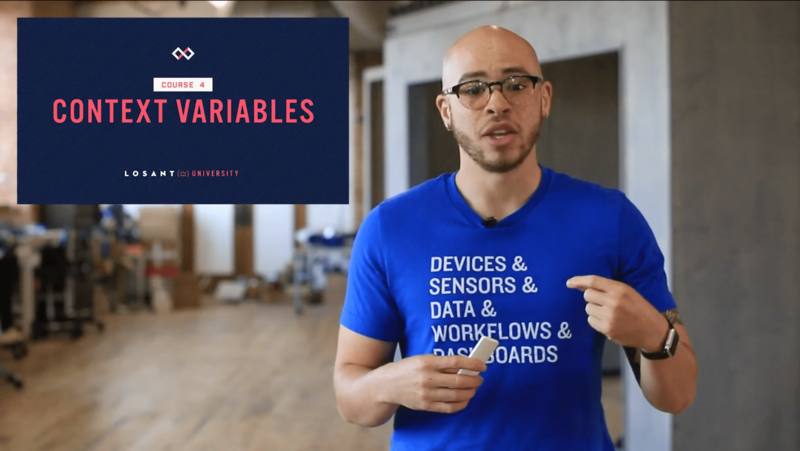 In this chapter, we will take a look at an example of how to use Context Variables. 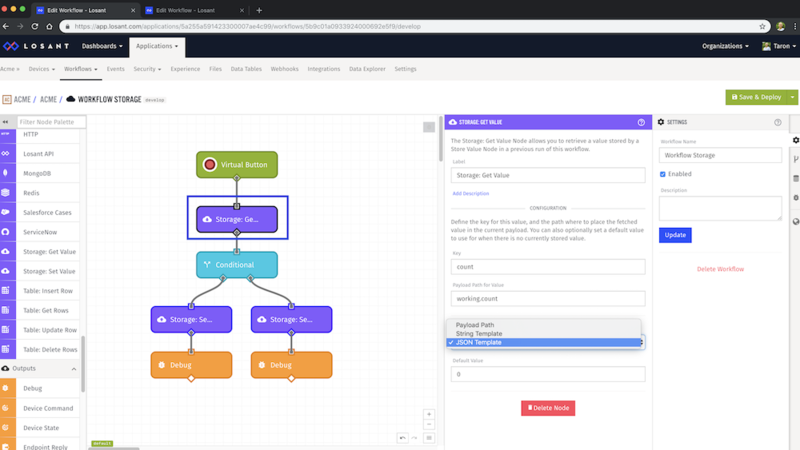 We designed workflows to be the brains of your connected solution. 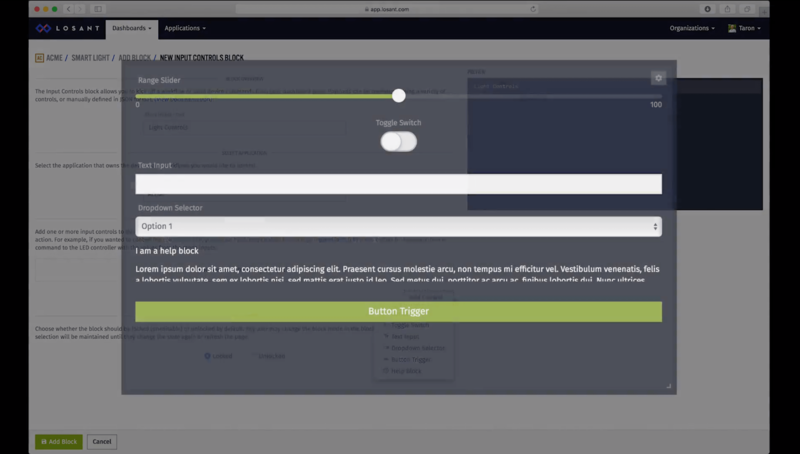 Using Losant’s drag-and-drop editor, you can build every interaction your application needs to perform right from within the Workflow Engine. 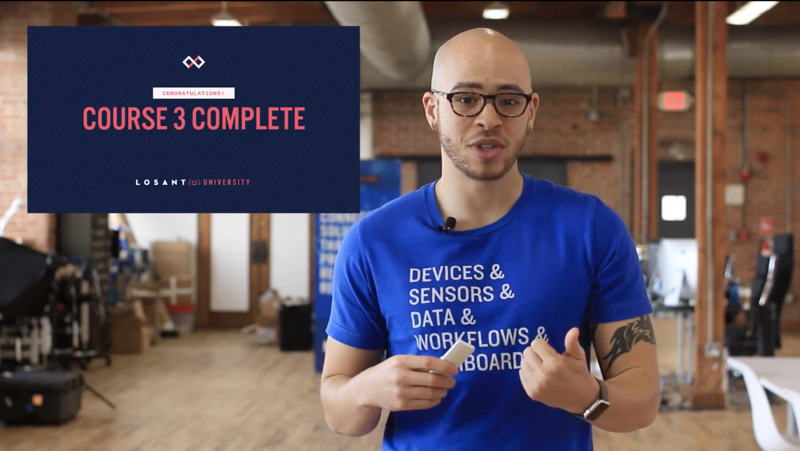 This course is all about the Workflow Engine, let’s dive in. 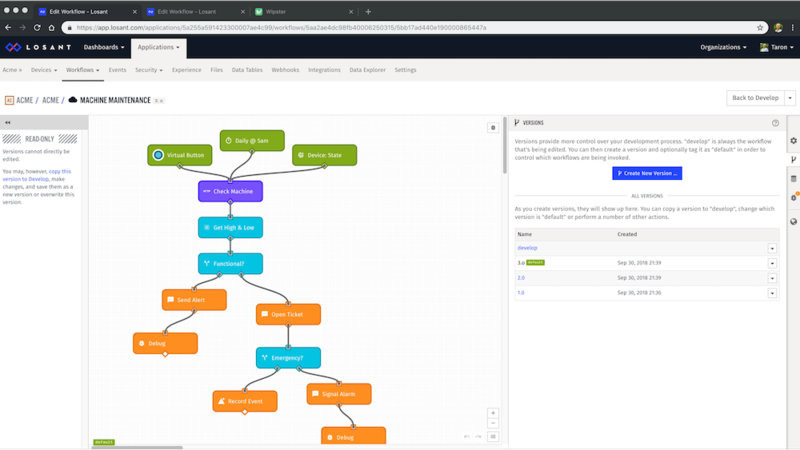 The Workflow Engine is one of the platform's most powerful components. 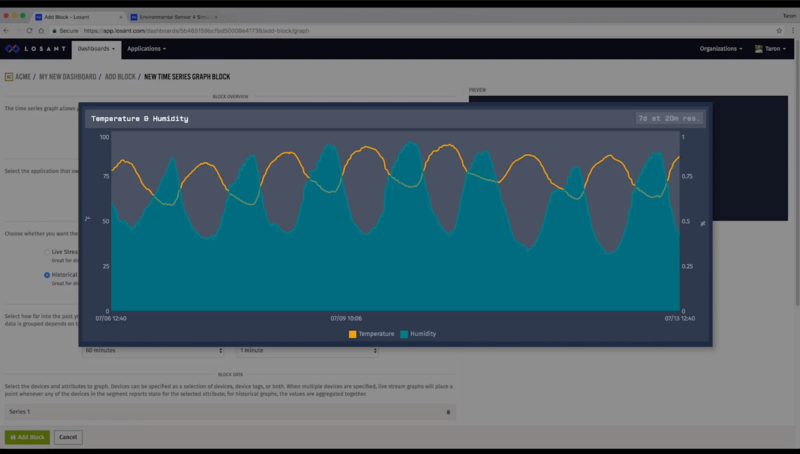 It gives you the ability to do stream processing, real-time notifications, integrations to third-party services, and bi-directional device communication — and this is just the tip of the iceberg. 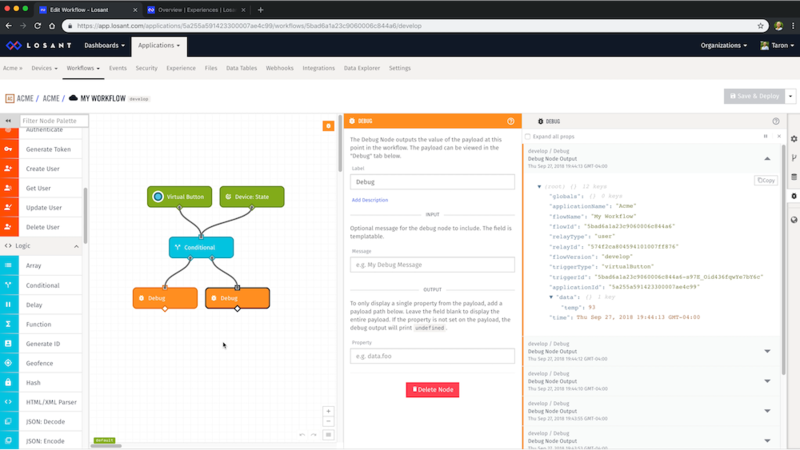 This chapter is your overview of workflows. 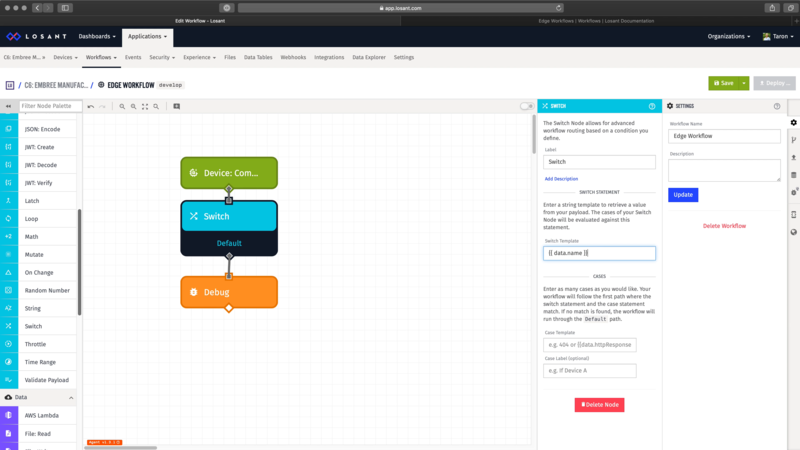 The best way to understand workflows is to build one. In this chapter, we are going to actually build a workflow and talk about what's going on step-by-step. This will help you build faster and really understand what's going on behind the scenes. The Workflow Engine is very complex. This chapter dedicated to diving deeper into the mechanics behind the engine. 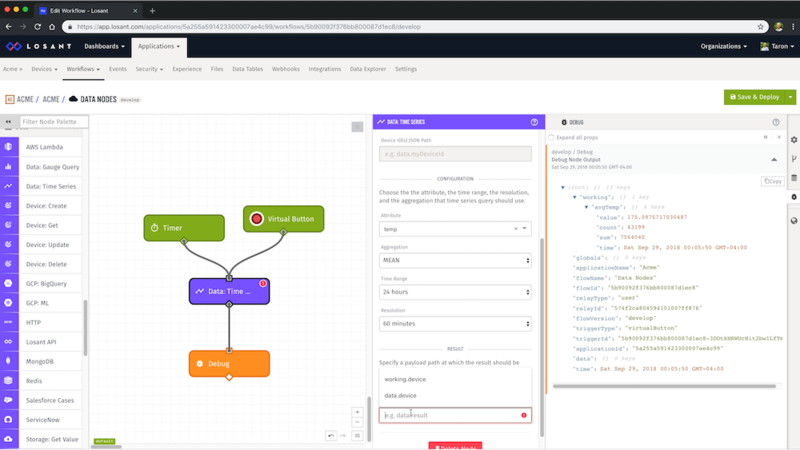 We will cover things like workflow execution, branching, limits, and more. 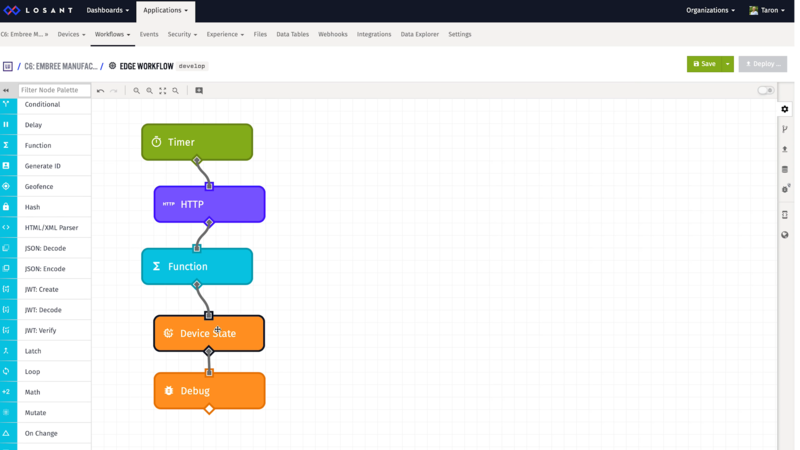 Each trigger allows you to start a workflow based on things like when your device reports state, or an MQTT topic, or even a simple timer. In this chapter, we are going to go through and examine some of the most used triggers. This will give you a good understanding of how and when to use these nodes. 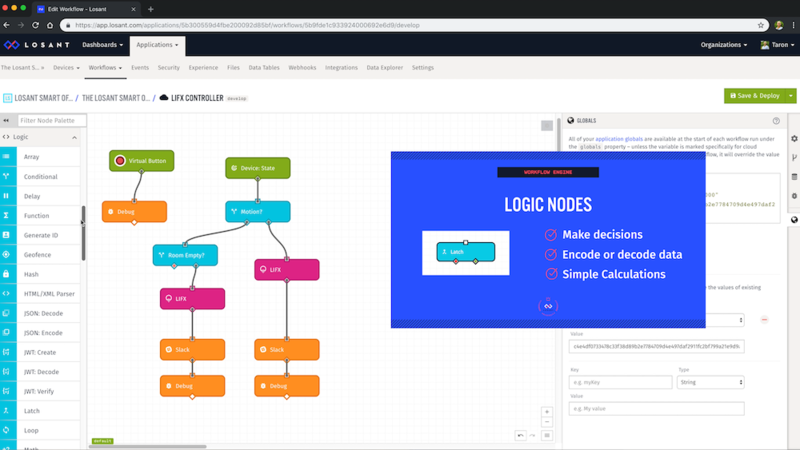 Logic nodes help you make decisions, encode or decode data, or make simple calculations. In this chapter, we will examine some of the most used Logic Nodes: the Conditional Node, the Latch Node, the Mutate Node, and the Function Node. 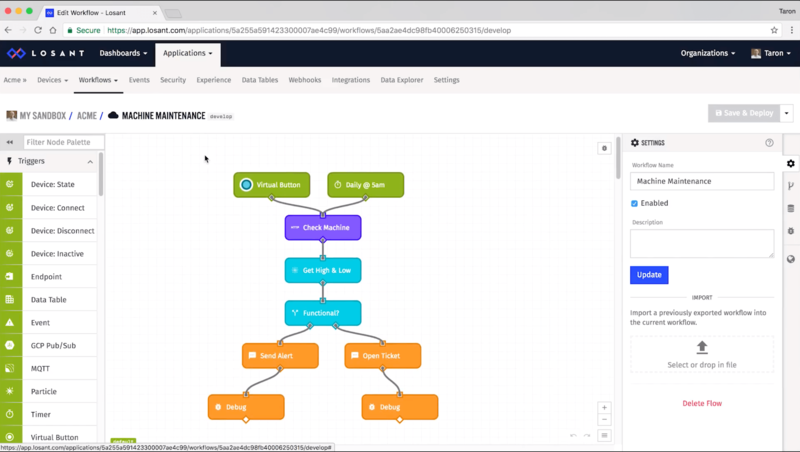 The Data Nodes allow you to push and pull data in and out of the Workflow Engine. 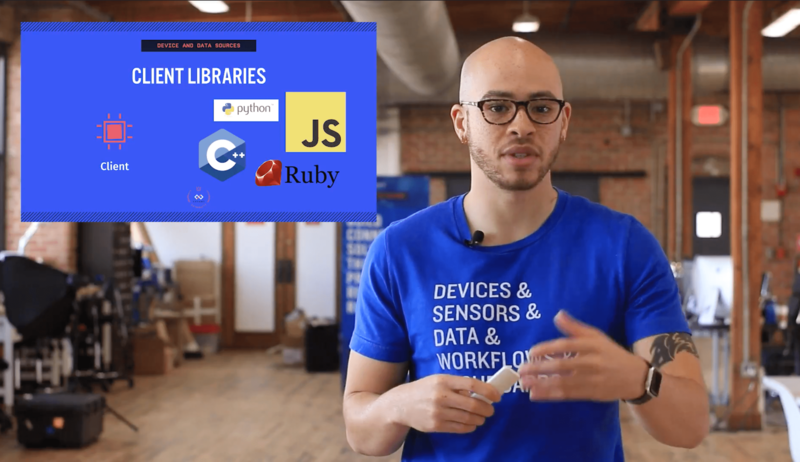 In this chapter, we are going to go through and examine some of the most used data nodes: the Gauge Query Node, the Time Series Node, and the HTTP Node. 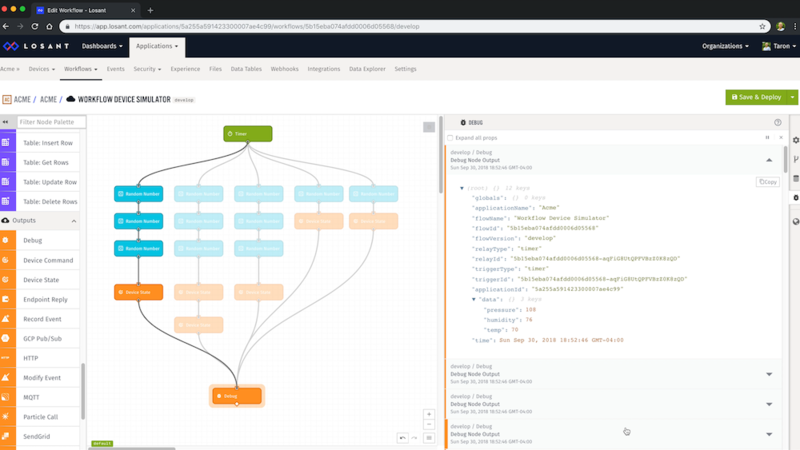 Output Nodes help you send data out of the Workflow Engine. 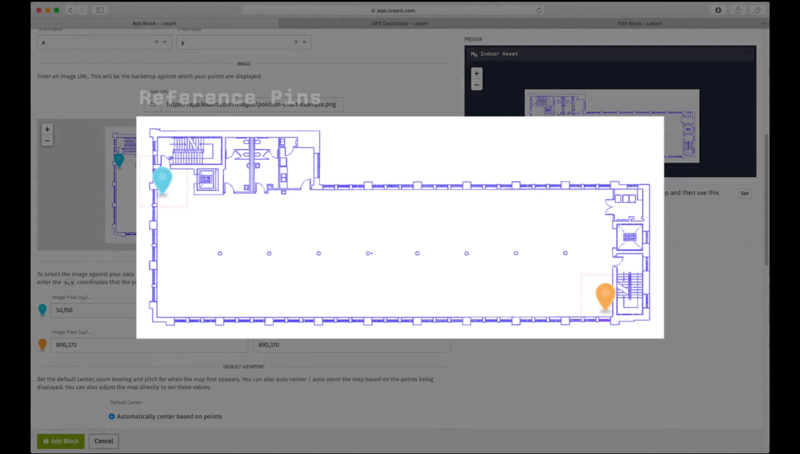 You can send a device command to a listening device, an email to a technician, a text message to yourself, perform an API call, and a whole bunch more. Let’s talk about popular Output Nodes. In this chapter, we are going to talk about some specific workflow features: Workflow Storage & Workflow Globals. Workflow Storage helps you save and manipulate persistent values within a workflow. Workflow Globals help you to save and use constant values for workflows. Let’s dive in and see how these work. 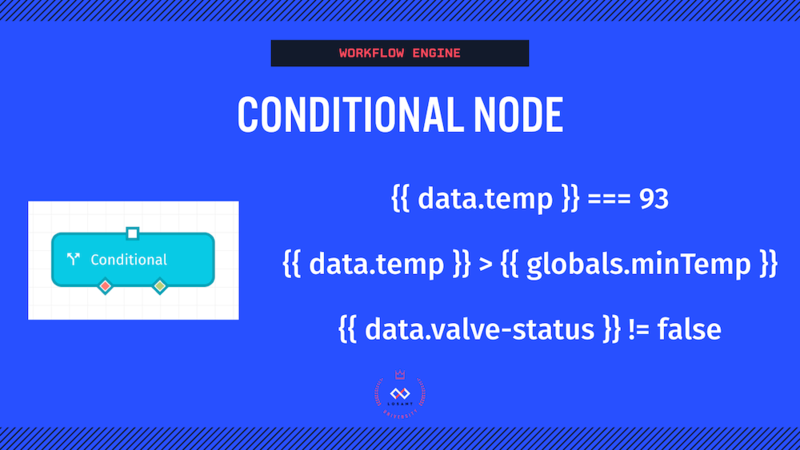 In this chapter, we are going to talk about Workflow Versioning and Import & Exporting workflows. 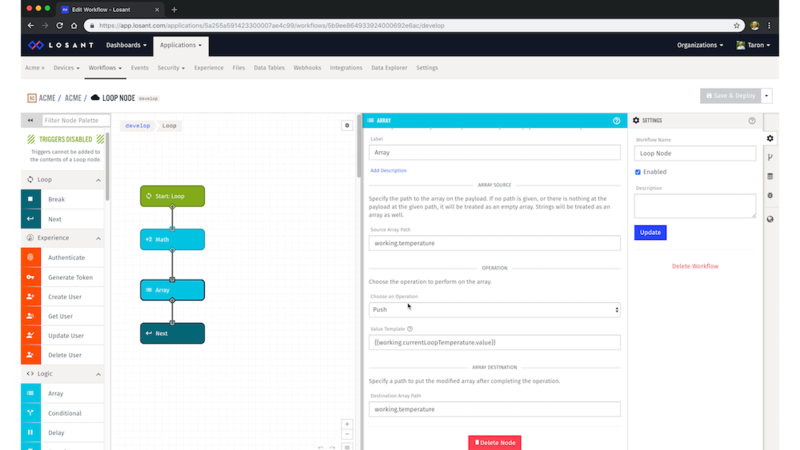 With Workflow Versioning, you can test and develop different versions of a workflow, without breaking the one you have in production. Let’s dive in. In this chapter, we are going to talk about one Data Node in particular, the Loop Node. 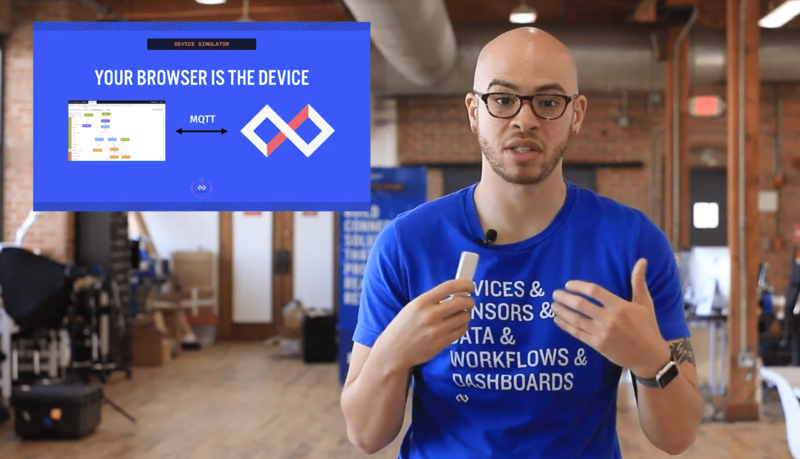 The Loop Node deserves its own video because it works differently than any other data node. Using an example, we will walkthrough the Loop Node and talk about how it works. 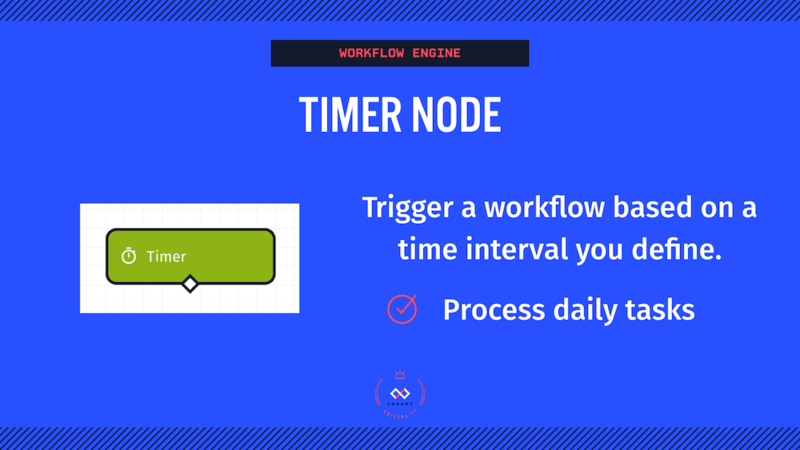 We covered many things about the Workflow Engine. I hope you learned a lot and are beginning to see how you can use it to process data within your application. It is time now to begin the workshop! 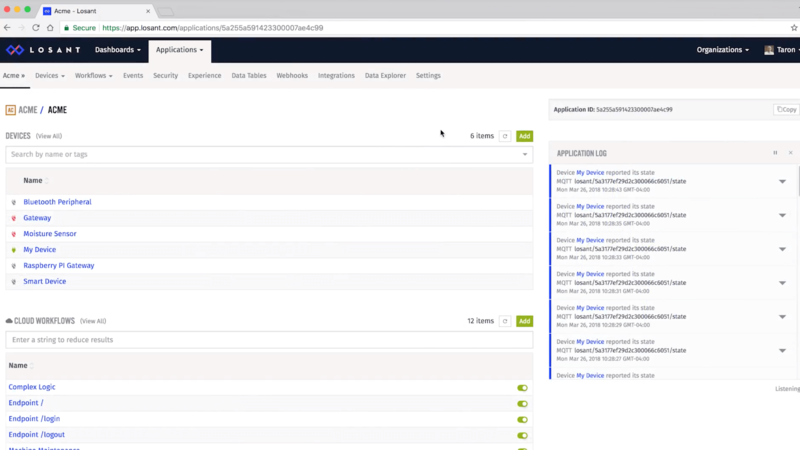 At its most basic level, Losant Edge is all about building edge-specific workflows in the cloud, and deploying them down to a device running the edge agent. Let's dive in. 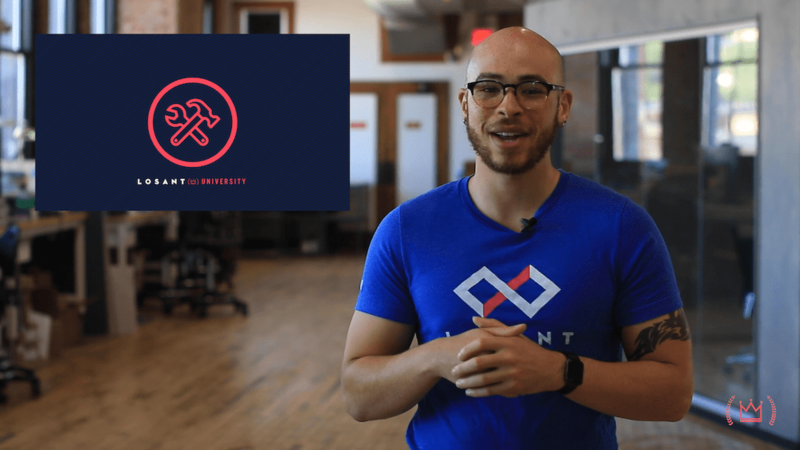 This video is all about Losant’s Edge Agent. 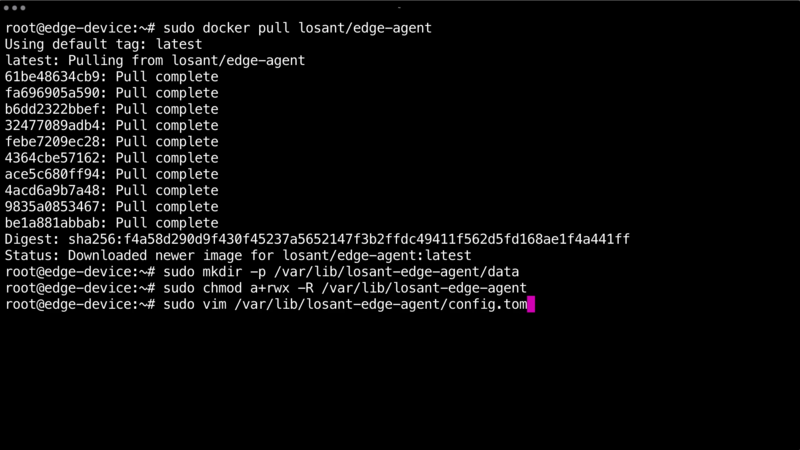 Edge Workflows run on your own gateway hardware and are executed by Losant's Edge Agent. 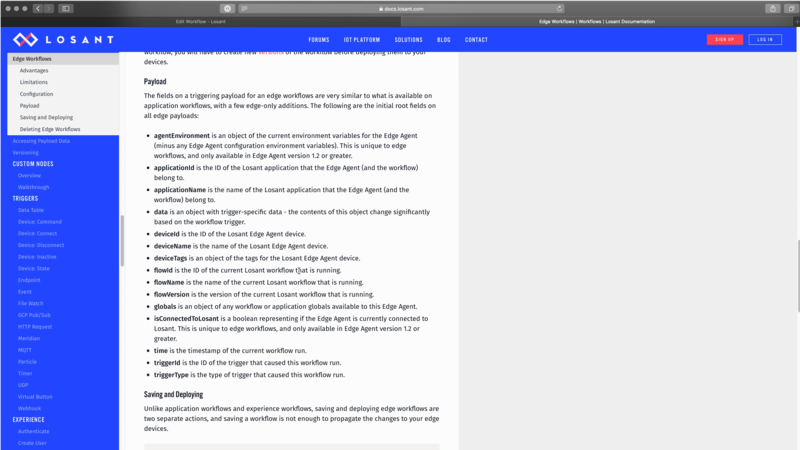 So, the very first thing you need to do before you can deploy an Edge Workflow, is install and configure the edge agent. That’s what we are going to talk about in this video. 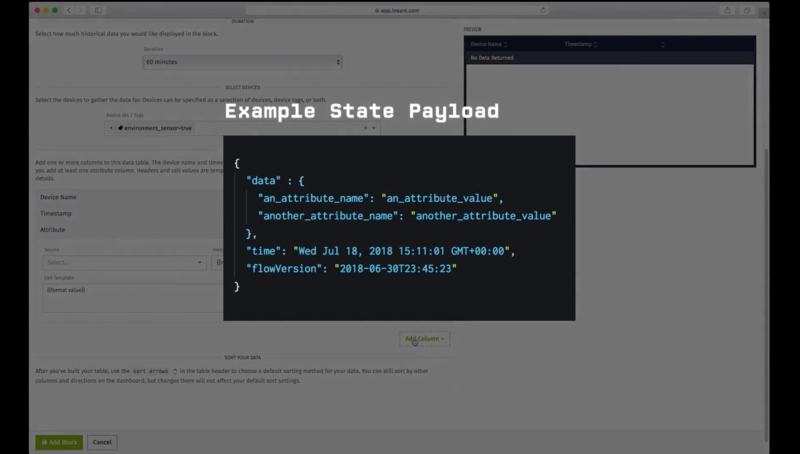 In the last video, we installed the edge agent and talked a little bit about Docker and overall how the agent works. In this video, we are going to actually use it. 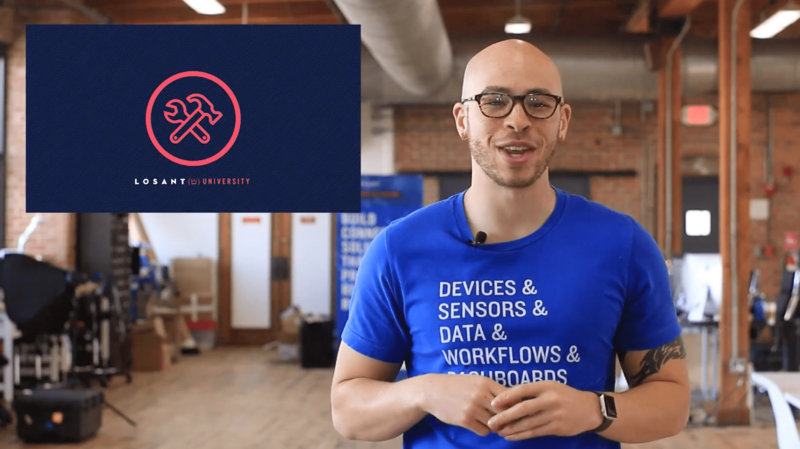 In this video, let's talk about some of the nodes that are special in an edge workflow and how these nodes are used. Ask questions and review conversations about Losant in the Forums. Development is largely driven by community feedback, which is extremely important to our team. Stay up-to-date on Losant platform updates, new integrations, industry trends and IoT news by visiting our blog. 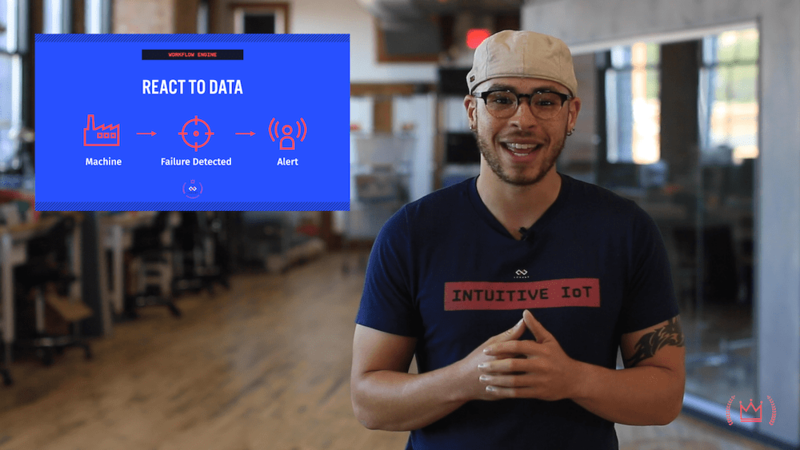 Learn more about the platform and how to build IoT applications using detailed documentation written by Losant engineers.